I am so excited to share that there's a new necklace at Hamrick Avenue with a very special purpose! 70% of the proceeds of this necklace goes toward my dear friend Serena Hockey's daily and monthly expenses as she has found a (unfortunately expensive) place that her currently extremely sensitive body reacts minimally to. Being in a stable place is vital for her as she begins to heal from severe, debilitating chronic illnesses. 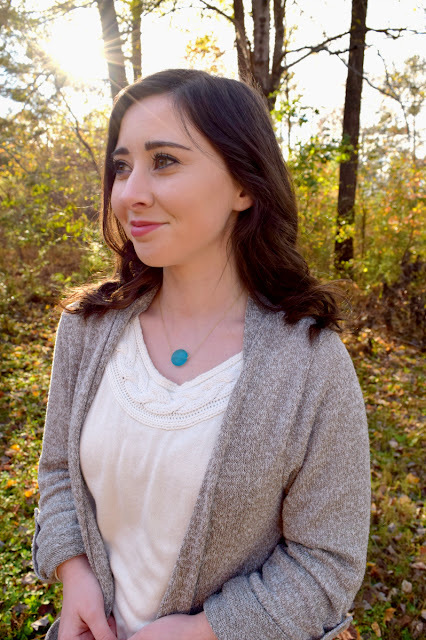 I am thrilled to be able to support her in this way, with a necklace inspired by her deep faith and one of her favorite Scripture passages--this one stood out to me to choose for her as she has been facing where in the world, literally, is best for her to go. When you purchase this piece, you are supporting not only a small business but also a suffering sister in her time of need. 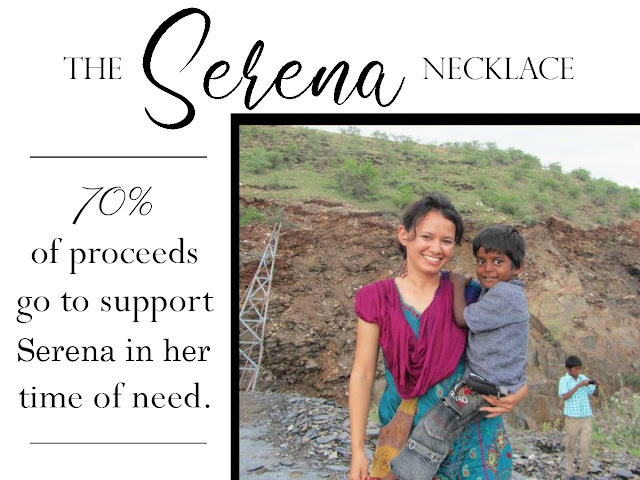 If you would like to learn more about Serena and donate to her, please visit here. Thank you so much for taking a look and considering helping Serena in this way! Shop the necklace here.